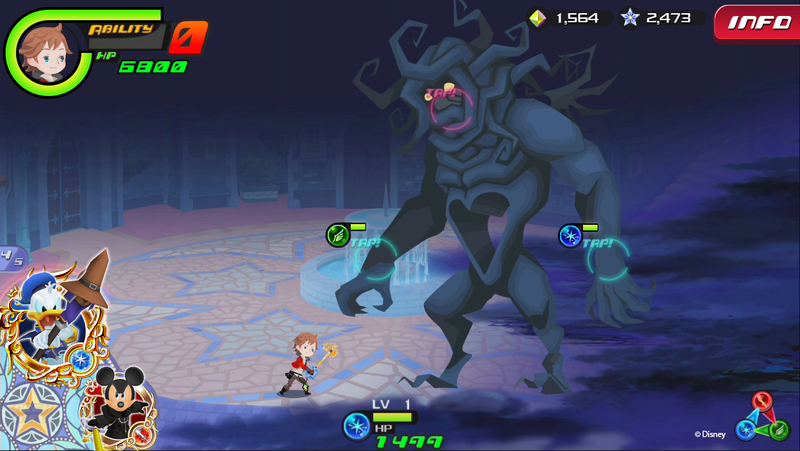 Kingdom Hearts Unchained x[chi] Formally Announced at Square Enix Conference! 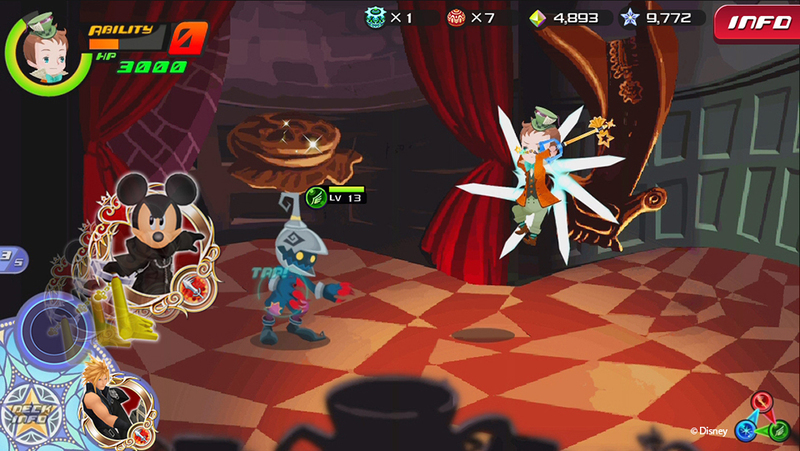 It's been a long time coming, but Kingdom Hearts Unchained χ[chi] is finally coming to the west on iOS and Android. Releasing on the App Store and Google Play, Kingdom Hearts Unchained χ[chi] is set inside the Book of Prophecy's and tells the fairy tale story of the Keyblade war, and your avatar travels to many Disney worlds to collect Lux from the Heartless. Guided by a mysterious creature known as Chirithy, your fraction is pitted against each other in daily and weekly battles for eternal glory. Recently the character Ephemera has come into play to advance the plot. Kingdom Hearts χ[chi] was released on internet browsers for Japan back in 2012. The game has grown incredibly popular among Kingdom Hearts fans, both Japanese and English speaking. Kingdom Hearts χ[chi] was revealed to be important to Kingdom Hearts 3's story, especially with the addition of a scene in Kingdom Hearts Re:coded HD Cinematics where Maleficent is on track to find the Book of Prophecy's. Kingdom Hearts χ[chi] was officially revealed last month, with Kingdom Hearts Creator and Director Tetsuya Nomura saying the smartphone version was essentially made just for Western audiences. KHInsider have spent the last three years creating guides and translations to help players navigate through the base Japanese game. We are very excited for the newest venture for the Kingdom Hearts series. 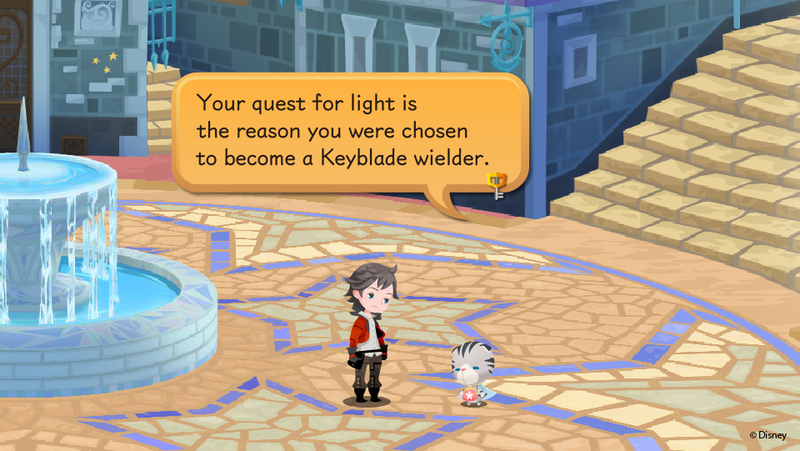 Has some spoilers that we haven't seen in KHx so far... at least to my knowledge. False alarm, everything shown is also currently in [chi] (apart from the new gameplay that is). This might be a stupid question, but I'd be really grateful if someone answered it. If Heartless weren't created until between BBS and KH1, why do you fight them in this game if it takes place in the past? Is it because Chi/Unchained are only "semi canon"? Chi/Unchained is completely canon now, the reason we still fight Emblem Heartless is not explained yet but it's very likely that it will be in the near future. The current theories propose that they are illusions and/or not what they seem to be (dropping light and guilt). LOS ANGELES (June 16, 2015) – Opening up the world of KINGDOM HEARTS like never before, SQUARE ENIX® and Disney Interactive today announced KINGDOM HEARTS Unchained χ (read as Unchained “Key”), the first game in the KINGDOM HEARTS series to come to iOS and Android devices. It will be available as a free-to-play app (with in-app purchases) in North America. OP updated with english screens! Well that's pretty cool. Maybe the same will also apply to why we're seeing appearances from other characters that, chronologically speaking, wouldn't have been born yet. 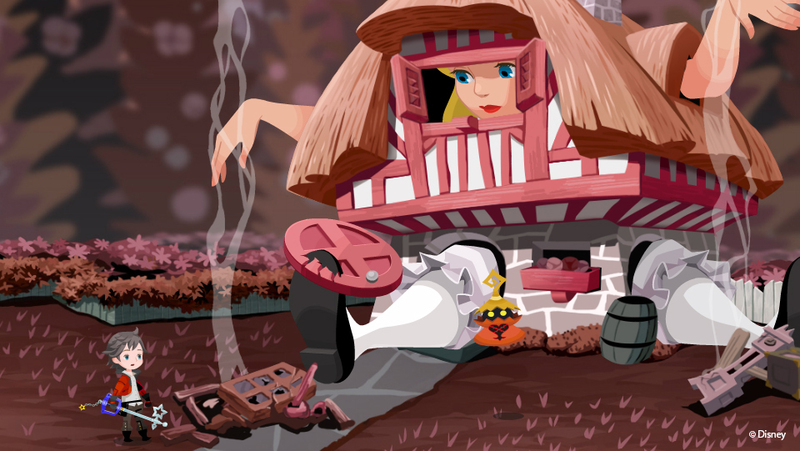 This is already explained, at least sort of in case of the Disney worlds. It might be considered a heavy spoiler,so if you're interested you could check the translation of the story mission 12-1 here. There is going to be a Kingdom Hearts Spotlight later on, so we have more to look forward to. Hopefully, more news on Unchained. Video in the main post seems broken. Hopefully they'll announce a release date during the upcoming events. I feel the same way. Would have made my summer. I'm hoping they'll make a surprise release during the summer. Though that seems unlikely. The first mobile title I've actually looked forward too. So glad we finally have an English trailer for it. Chi's second anniversary is near, so it might be released before, during or after it.